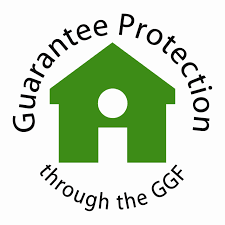 When you choose County Windows & Conservatories you have absolute peace of mind that your warranty is protected, thanks to GGFi Guarantee Protection on all works carried out by us. GGFi is one of the market leaders in the UK for the provision of Warranty Insurance products and has been servicing the home improvements sector for over 10 years with this specialized and valuable form of insurance. Born from a need for Competent Persons Schemes such as FENSA to provide access to increased protection to homeowners, Warranty Insurance policies insure guarantees issued by installation businesses against these businesses ceasing to trade. In the event that the business fails during the lifetime of the guarantee, any issues normally recoverable under the terms of the guarantee can be the subject of an insurance claim in line with the policy terms.